One of the highlights of Snap Conference was getting the opportunity to speak with representatives of all the sponsoring brands and try out their latest products. I especially enjoyed the chance to learn about things I'd never heard of, including the IDO3D Pro. 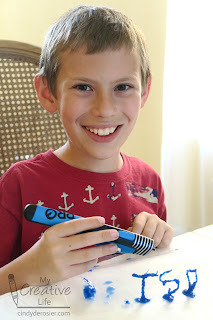 We already own a 3-D pen (which I reviewed here), but the IDO3D is completely different. 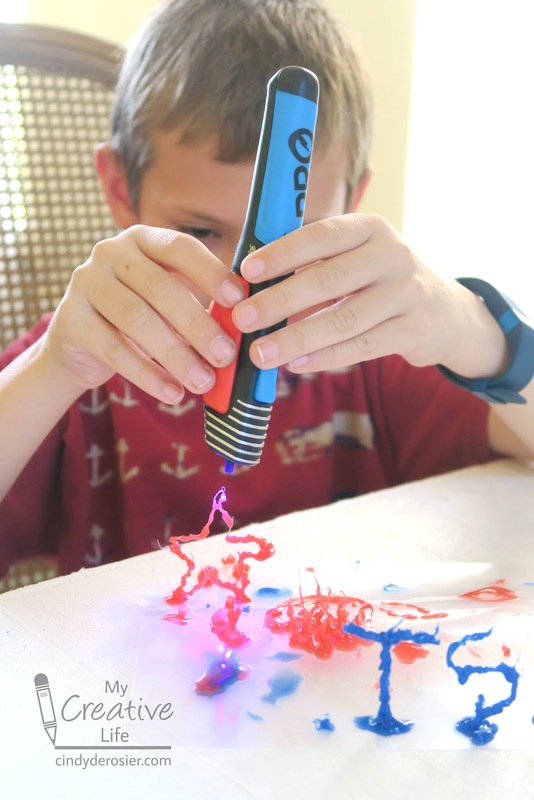 Instead of using heat to melt solid rods of colored plastic like the 3Doodler does, the IDO3D uses UV light to cure liquid plastic to make it solid. The folks at Redwood Ventures, who make the IDO3D, were kind enough to send me home with a sample to see how it compares. Trevor (age 10) was thrilled. He had the pen out and assembled pretty much the minute it came out of my suitcase. Within another few minutes, he had made his initials. 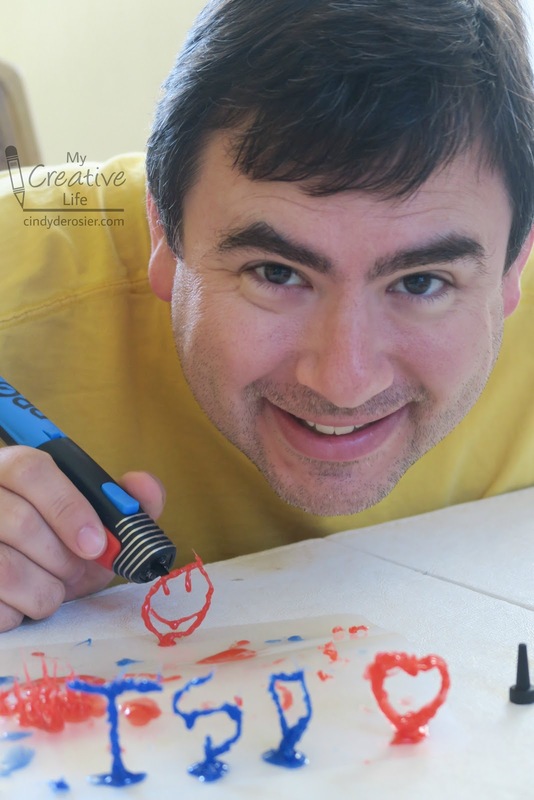 He changed colors and kept creating. He wasn't making masterpieces with his first attempts, but he was very happy just playing and making shapes. Eventually, Trevor did let me have a turn. My impressions? I like it. The IDO3D has some major advantages over the 3Doodler. 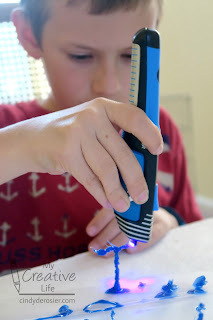 Granted, we have an early version of the 3Doodler and I've heard that later models address some of my complaints, but just putting the two side-by-side, there is no comparison in my mind. 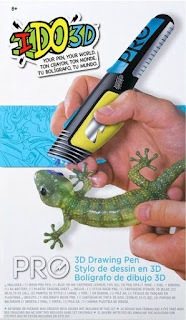 The IDO3D is easier to use, does not hurt my hand, is silent, smells better (there's a plastic smell, but it's not horrible), and with no hot tip, is much safer. It is cordless, weighs less, and, as it turns out, is cheaper. Steve took a turn. He gave the IDO3D pen a smily face. 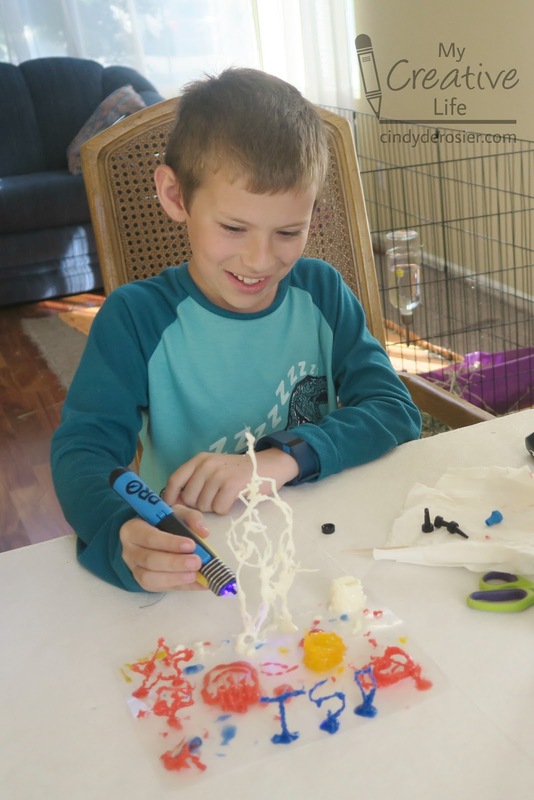 Trevor loves the IDO3D pen. Need further proof? I found him early the next morning, still in his pajamas, creating more shapes. A quick search on Amazon reveals that there are many different versions of the IDO3D (affiliate link) at a variety of price points. I can only vouch for the IDO3D Pro and would recommend it without hesitation. If any of you have tried other IDO3D products, I'd be very interested in hearing what you think of them. How cool is that!?!?!??! LOVE it!!!!!!!!!!!!!!!! 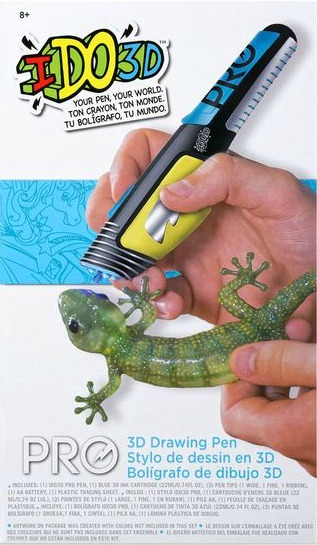 Looks like a really fun product!